As you can see in the index articles (see the tabs at the top of the page), this blog has published detailed descriptions of a number of retirement communities located within the United States. These articles are meant to be an aid to readers who are trying to decide where they want to live after they retire. In the future, even more communities and retirement community developers will be covered. Until all of these locations have been covered, I thought it would be useful to provide my readers with a list of some of the most popular retirement communities in the United States. All of them have websites where you can learn more. In addition, I highly recommend that people look for information that is NOT on the official websites. This is where you will find out if the community has problems or disadvantages that will not be mentioned on their home pages. Some of the communities listed below have already been discussed in this blog. You can find those article by using the tabs or pull down menu at the top of this page and looking under "Retire in the US." This will take you to an index with links to dozens of articles on where to retire in the United States. Communities for active adults who are over the age of 55 exist throughout the United States. These particular communities are not necessarily the twenty most popular ones in the United States, because that is difficult to assess. However, they were chosen because their websites and the articles written about them tend to receive an exceptional number of internet views every month, which indicates that retirees are finding these neighborhoods to be especially interesting. In addition, I selected these retirement communities from a variety of sources, because they are located in different areas around the United States. There is no reason for potential retirees to feel as if they absolutely have to move to an entirely new region of the country in order to find a suitable retirement community. This list includes communities on both coasts, as well as within the states of Florida, Arkansas, Texas, Pennsylvania and Arizona. Continue to expect future articles on this blog about these active adult communities, alternated with other timely articles for Baby Boomers about retirement planning, overseas retirement locations, Social Security, Medicare, important medical information and changing family relationships. If there are other communities that interest you, please feel free to mention them in the comments section and every attempt will be made to research them and provide relevant information. I'm kind of sad to see that there are no retirement communities in Seattle listen here. That's where my parents will eventually end up. I'm sure we'll find a great one, but it would be cool to put them in one of the best ones in the US. Thanks for sharing! Thank you Lyla. If you hear about a retirement community near Seattle, and would like me to write about it, just leave a comment on any of the blog posts and I will see what I can find out. Good luck to you! My grandather and I have considered retirement communities, but he is not quite ready to be living in one just yet. Instead, we looked towards quiet and relaxed communities in South Carolina. South Carolina real estate offers warm weather and quiet communities for the elderly. 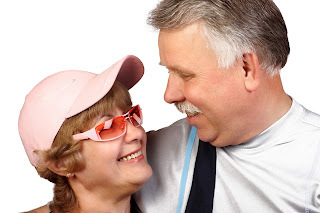 It is a great solution for retirees who wish to remain independent. Good data share by you in your blog about different community apartments in US. It helpful for the old people. There are many retirement communities in the US and this is actually a great thing. People can go to 55 and over communities on long island to enjoy different activities and a life that they can still live independently. This is really a good decision because you will live in a place that will help you live a meaningful life.